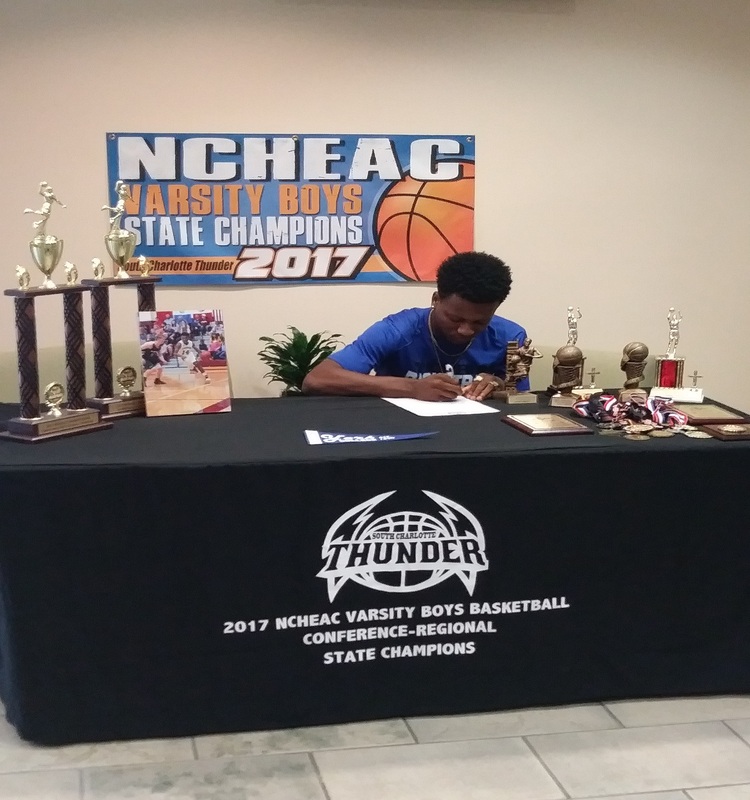 Isaiah Abbott, a combo guard for the last two seasons with the South Charlotte Thunder, signed on Monday, July 30 to play at York College. York College is a NAIA Division II college in York, Nebraska. The coaches at York College were attracted by Isaiah's shooting ability, movement on the floor, and overall athleticism. In two seasons with the Thunder, Isaiah accumulated over 1,000 points and led the team to two straight NCHEAC state championships. Both seasons he was awarded the NCHEAC Most Valuable Player award. This was also the first signing for the Thunder homeschool, high school basketball organization which will begin its third season this fall.